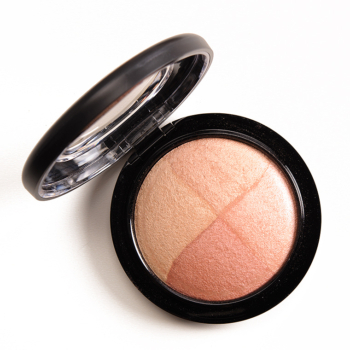 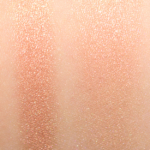 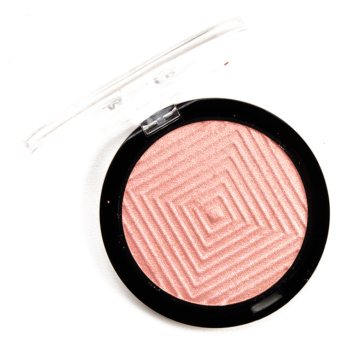 MAC Nuanced is a warm peach with a metallic finish that is limited edition and retails for $34.00. 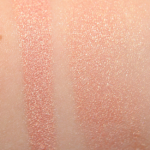 In comparison, Maybelline Molten Peach is a warm peach with a sparkle finish that is permanent and retails for $9.99. 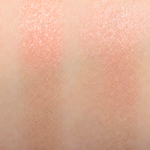 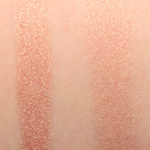 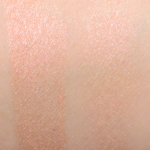 Maybelline Molten Peach is 90% similar — it is more shimmery.